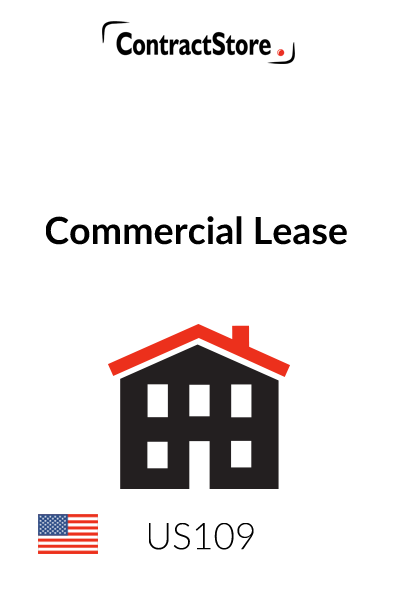 This Commercial Lease is in American form and is designed for use in the United States. 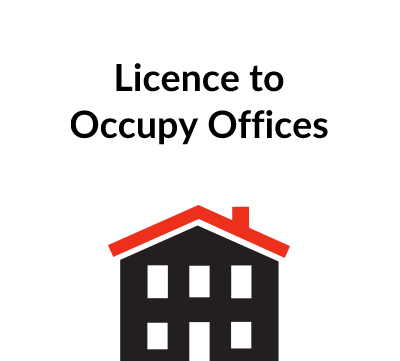 It is for use for the lease of office premises in a multi-tenant/multi-office building used for commercial purposes. Also included is a form of a Memorandum of Lease, which can be recorded with the local County Recorder to provide legal notice of a Lease to third parties, without the need to file the entire Lease (e.g., where confidentiality of material financial terms is an issue). These forms are intended for use within the United States. 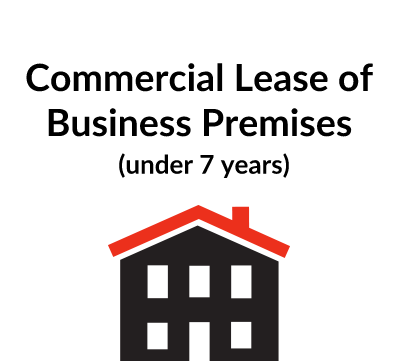 This form of Commercial Lease is designed for use in the context of a lease of office premises (the “Premises”) in a multi-tenant/multi-office building (the “Building”). The parties are referred to as “Landlord” and “Tenant” – perhaps not as politically correct as “Lessor” and “Lessee”, but certainly less susceptible to confusion during a quick read of the document. Overall, this form is short as leases go, omitting a lot of the laborious details that can are best dealt with in rules and regulations to be made by Landlord under paragraph 23 of this form. Though more even-handed than many forms, it is generally Landlord-friendly – and accordingly, where Tenant might benefit from seeking a modification from the existing language, this is clearly noted in the notes below. The key legal effect of a lease is the grant of a leasehold estate – the right to possession of the Premises for the term of the lease. Beyond this, leases create a number of other legal effects, including obligations to pay rent, obligations to maintain and specified remedies. The only mandatory language in a lease is the words necessary to convey a leasehold estate. No particular word or words of creation are legally required, but the following terms are often used: lease, demise, grant, convey. This lease will require significant modification if it is to be used for the lease of retail premises, to reflect the fact that the rent may be based in part on the volume of sales from the premises. A different form of lease is appropriate for the lease of an entire building to a single tenant, to reflect the fact that the tenant’s repair and maintenance obligations would be more onerous and other differences in the parties’ relationship. A Memorandum of Lease is frequently executed in conjunction with execution of a lease. As will be evident from the form attached to this form of lease, the Memorandum is an extremely abbreviated form of the lease, generally not including the financial terms, which can be recorded with the local County Recorder to provide legal notice of a lease to third parties, without the need to file the entire lease (e.g., where confidentiality of material financial terms is an issue). This form provides a good starting point for preparing a first draft of a commercial lease. However, as with use of any form, it is very important to take the time to read the form in its entirety to ensure that it is customized appropriately for use in your individual situation. For all but the simplest of transactions, it can be anticipated that some customization will be in order; and as mentioned above, it may also be advisable to consult with competent legal counsel. The parties’ names and states of incorporation should be inserted at the beginning of the document. This form presumes that the Lease will be signed on behalf of corporate parties, but if some other type of entity is used (or if either or both parties is an individual), then the language should be modified accordingly. This form does not use any recitals. Though it is normal practice to get the signatures to a lease notarized, this is not required unless the Lease is to be recorded. This form includes standard-form notary blocks in case the parties wish to have the Lease notarized. Recording of certain leases (or at least a Memorandum of Lease) may be required under applicable law. Exhibit A – Legal Description (i.e., of the land on which the Building is situated). Exhibit B – Construction Exhibit (see the definition under the discussion of paragraph 1 below). 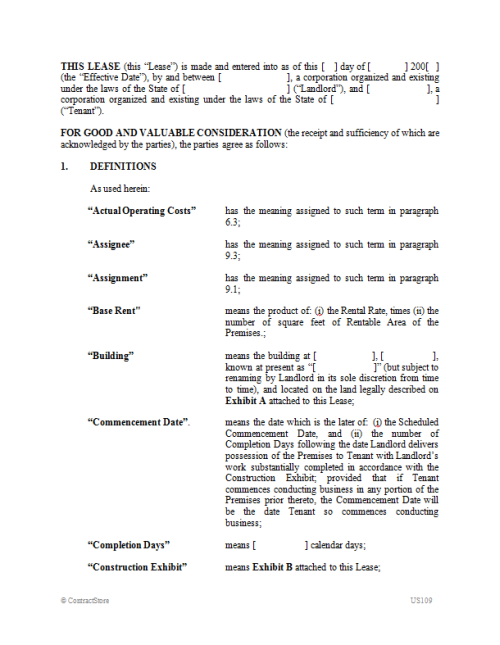 Paragraph 1 contains definitions (or internal cross-references to definitions) of the key defined terms used in the Lease. This form is set up so that most of the terms that will be customized in a typical lease will be found in the definitions provision – this simplifies the drafting process and brings focus on the key business elements of the deal. • “Building” – the location and name of the Building should be filled in here. Note that the form anticipates that a legal description of the land on which the Building is located will be included on Exhibit A – this is not required (unless the Lease is being recorded with the local County Recorder), but can help to avoid interpretational uncertainty later on. The form also anticipates that Landlord may change the name of the Building from time to time – Tenant may want to seek some limits or controls on this right. • “Commencement Date” – this is the actual date on which the Lease (and the obligation to pay rent) begins, and allows for a number of days (the “Completion Days”) after Landlord completes its required work on the Premises for Tenant to complete its leasehold improvements to the Premises before becoming obligated to pay rent. • “Completion Days” – this represents the number of days that Tenant is allowed to spend to complete its leasehold improvements to the Premises after Landlord has completed any work required by it under the Construction Exhibit. See definition of Commencement Date above. • “Construction Exhibit” – contained in Exhibit B to the Lease, and referred to in paragraph 1 (definition of Commencement Date), paragraph 3 (Finishing of Premises) and paragraph 11.1 (Alterations). This Exhibit should be completed so as to include the information required by these provisions of the Lease. • “Interest Rate” – fill in the name of a bank in this definition. Note that usury laws in many states may limit the rate of interest payable. • “Landlord’s Address” – this is Landlord’s address of record for purposes of receiving rent and notices from Tenant. • “Operating Costs” – this definition should be reviewed carefully for scope. Tenant may have objections to some of the items included, as they could result in a significant increase in the amount of rent payable. • “Rentable Area” – fill in the approximate Rentable Area in this definition. Tenant may want to seek to have some input on the determination of Rentable Area, and may have comments on the methodology used to arrive at the final square footage. • “Rental Rate” – note that this is expressed per month and per square foot of Rentable Area. If it is to be expressed in any other way, corresponding changes should be made to paragraph 5.1. Note that the Rental Rate is subject to adjustment by the parties upon a renewal of the Lease. • “Scheduled Commencement Date” – this term is used to set the latest possible commencement date of the term of the Lease – see definition of Commencement Date. • “Security Deposit” – fill in the agreed-upon Security Deposit in this definition. • “Tenant’s Address” – this is Tenant’s address of record for purposes of receiving notices from Landlord. • “Term” – fill in the agreed-upon duration of the Lease, together with details of any renewals (which are set up in the form to be at Tenant’s option). Contractual renewal options are important because – unlike in some other countries – these are not provided for commercial leases by statute and apply only if agreed upon by the parties. Paragraph 2 contains the only mandatory language in the Lease – the words necessary to convey a leasehold estate. No particular word or words are legally required, but the following words may also be used: demise, grant, convey. Paragraph 3 sets up the Construction Exhibit as the document governing the extent to which the Premises are to be finished by the parties prior to commencement of the Term. The Construction Exhibit is usually prepared by the architects, space planners, etc., and will vary widely in form and content. The drafter of the Lease will want to be sure it is reviewed by the appropriate construction professionals representing his or her client, and to review it for consistency and completeness, but it is generally not a wise idea for the drafter to be handling technical construction issues. Close involvement on the part of Tenant is advisable. Particular items that may be overlooked include services during the construction and move-in period (elevator and other hoisting service, electricity, water, heat, trash removal, security, etc.) and the degree of the completion of the base building, both at the start of the Completion Days and at the Commencement Date. 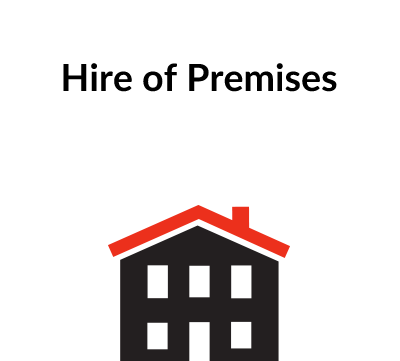 Even if Tenant is taking the Premises “as is”, it may want to seek some limited warranties, particularly on the heating, cooling, plumbing, electrical and life safety systems and on general compliance of the Premises with legal requirements, including the American with Disabilities Act and environmental laws and regulations. There may be a tax consequence to the decision of whether Landlord or Tenant pays for the leasehold improvements. If Tenant pays for the leasehold improvements, then during the lease term Tenant must depreciate its leasehold improvements on a statutorily-defined schedule, even if the lease term is shorter. (The undepreciated balance becomes a deduction in the year the Lease terminates.) If Landlord pays for the leasehold improvements and increases the rent accordingly, Tenant can expense its rent as paid. Consequently, Tenant may have more rapid tax deductions if Landlord pays for the leasehold improvements. Paragraph 4 contains provisions relating to the Term. Paragraph 4.2 deals with delay in the Commencement Date – this may be the subject of negotiation because of the conflicting needs of the parties (i.e., Tenant may be under a fixed obligation to move out of its present location and therefore need the protection of a fixed date, but Landlord does not want to assume the risk of delays which it cannot control). Some possible compromises include: (1) Landlord bearing some or all of costs of holdover and/or move to temporary premises, (2) an understanding that Tenant will move in prior to substantial completion, if necessary, (3) some financial disincentive to Landlord and (4) a right of termination, such as that provided in paragraph 4.2. Written confirmation of the type described in paragraph 4.3 is advisable, but often not done. Paragraph 5.1 provides for monthly payments of Base Rent, including pro-ration for partial months. This form expressly excludes set-off, though set-off is generally precluded in many states by the common law doctrine of independent covenants, absent constructive eviction. As a result, if Tenant wants a right of set-off, it should be expressly contained in the Lease. Landlord may want to consider requiring payment by wire transfer or by other secured means. Paragraph 5.2 provides penalties for late payment by Tenant of the Base Rent and other amounts due under the Lease. Usury laws in many states may limit the rate of interest payable, and this is contemplated in the definition of “Interest Rate”. Paragraph 6.1 provides for payment by Tenant of its pro rata share of certain operating costs. Underlying this provision is the definition of “Operating Costs” in paragraph 1, which – as mentioned above – should be the subject of careful review by both parties. Paragraph 6.2 allows Landlord to collect, as additional rent, monthly payments of estimated Operating Costs. Some tenants are concerned about over-estimates and may seek protection in the form of interest on over-estimates. Paragraph 6.3 provides for a calendar-year-end “true-up” payment from one party to the other based on the final calculation of Operating Costs. It also allows Tenant the right to inspect Landlord’s books and records to verify the calculation. Tenant may want the right to recover the cost of its audit, or the right to seek interest, if estimated Operating Costs consistently exceed actual Operating Costs. Paragraph 6.4 serves to adjust both for disproportionate services and for the “gross-up” of variable Operating Costs if the Building is not fully occupied. Tenant may object to having all of these matters resolved by Landlord’s determination. Paragraph 7 provides for the Security Deposit and allows Landlord to apply it in a stipulated manner should Tenant be in default under the Lease. If Landlord draws on the Security Deposit, Tenant is under an obligation to replenish it to its pre-existing required level. Paragraph 8.1 deals with the permitted uses for which Tenant may use and occupy the Premises. In general, Tenant will not want to bear the expense of complying with any laws requiring physical alterations to the Premises or the Building, so this form starts from a middle-of-the road position that Tenant’s obligation for governmental compliance is based upon Tenant’s use, occupancy, alteration or improvement of or to the Premises. However, it is possible that even with this language Tenant could be jointly and severally liable in actions seeking enforcement of some laws such as environmental laws or the Americans with Disabilities Act. Accordingly, careful review of such issues as they affect the Building and the Premises is advised. The disclaimer of suitability is an attempt to negate any covenant implied by state common law in commercial leases that the Premises are suitable for Tenant’s intended use. Paragraphs 8.2 and 8.3 place certain limits on the uses for which Tenant may put the Premises, relating respectively to activities which increase the insurance rate on the Building and activities that could violate applicable environmental laws. Paragraph 9.1 imposes a general restriction on Tenant from assigning or subletting the Lease without the consent of Landlord. Tenant might seek to modify this language by requiring that consent not be unreasonably withheld or delayed. When Landlord agrees that consent will not be withheld unreasonably, Landlord may want to exclude liability for damages – Landlord will not want to be liable for a judgment call. Tenant may also seek a right to transfer, with notice but without consent, to an entity controlled by, controlling or under common control with Tenant, or to an entity which acquires all or substantially all of the assets of Tenant. If added, this language is intended to accommodate the sale of Tenant’s business or a needed rearrangement of Tenant’s corporate structure. In such a situation, however, Landlord may want assurances that there is no adverse impact on Tenant’s credit by reason of the change. Paragraph 9.2 is intended to preclude evasion of the anti-assignment clause by a sale of stock, but, in doing so, it gives Landlord some control over Tenant’s internal shareholder matters. Landlord may insist upon this clause if Tenant is a small, “closely-held” entity, but may be willing to delete it if Tenant is sufficiently large that the identity of the stockholders is not important to the identity of Tenant. Paragraph 9.3 governs procedural aspects of a request by Tenant to assign or sublet the Lease. Paragraphs 9.4 enables Landlord to take advantage of a profitable opportunity described by Tenant in its notice pursuant to paragraph 9.3. Landlord retention of at least a portion of any profit to be made is common. This paragraph also gives Landlord an emergency escape if Landlord cannot be certain that its objections to an assignment or sublease are reasonable, but still does not want to see it happen. Paragraph 9.5 should be reviewed carefully, as it requires Tenant to turn over to Landlord any rent received from an assignee in excess of Tenant’s Base Rent and its share of Operating Costs. Tenant should argue that it is in Landlord’s interest to split the profit with Tenant so that Tenant has some incentive to try to make a profitable assignment. Paragraph 10 deals with maintenance of the Premises and the Building. There is no “standard” maintenance provision, and drawing the line between Landlord’s responsibility and Tenant’s responsibility is generally heavily negotiated. Some of the issues to consider include: Who is responsible for repairs to leasehold improvements, particularly the distribution of the base building HVAC, electrical and plumbing systems? Is there a clear line of demarcation as applicable to these and other systems where Landlord is responsible for the base system and Tenant is responsible for certain distribution systems? What remedies does Tenant have if Landlord fails to repair promptly? Tenant might like a right of abatement, self-help and set-off, both of which Landlord is likely to resist, particularly in a multi-tenant building. Paragraph 11.1 deals with alterations. In general, Tenant will want the right to make alterations without consent which do not have a material adverse effect on the structure or any building system. Landlord may want a further limitation that such alterations are not visible from common areas. The obligation to remove improvements can be very expensive and Tenant may be advised to resist it. Signage (paragraph 11.2) may be very important to Tenant. Rather than negotiate Lease language, Tenant should prepare proposed sign plans and get them approved by Landlord prior to Lease execution. Paragraphs 11.3 and 11.4 contain certain restrictions on Tenant’s right to install equipment on the Premises and/or to bring furniture into the Building. With regard to Landlord’s right of entry in paragraph 12.1, Tenant may want to require prior notice and want to limit the extent of Landlord’s right. In particular, Tenant may want to designate high security areas. Landlord has the right to regulate security in the common areas under paragraph 12.2. Paragraph 12.3 gives Landlord a broad right to be excused from its obligations under the Lease in the event of a sale or transfer of Landlord’s interest in the Premises or the Building, provided the transferee assumes the Lease. This can potentially be a problem for Tenant; for example, if Landlord faces a major liability to Tenant it could in theory transfer the Building and terminate its liability. There are several possible approaches to solving this problem. One approach is to give Tenant the opportunity at the time of transfer to make written notice of claims, and to provide that Landlord liability survives (usually for a relatively short period of time) with respect to such asserted claims. A second approach is to release the transferor if the transferee assumes all obligations under the Lease, but this has problems for both Landlord and Tenant. Landlord’s problem is that most transferees do not want to assume liability, particularly liability prior to the date of transfer. Tenant’s problem is that the transferee may have no assets. A third approach is for Landlord to convince Tenant that the sentence as drafted constitutes an acceptable credit risk. In paragraph 13, Tenant may seek to specify the days and hours that services and utilities are available. Tenant may want to ask for a right of abatement if services are not provided after a few days. For its part, Landlord needs to limit carefully the scope of any abatement: several days grace period, failure of services is due to causes beyond Landlord’s reasonable control, and Tenant in fact fails to occupy. The reference to telephone service regulations is based upon the fact that the public utility furnishing telephone service now provides service only to one access point in the building. Landlord and Tenant must allocate responsibility for: (i) running lines from the access point to the Premises, (ii) connecting at the access point (without messing up other tenants’ wiring), (iii) maintaining the internal lines, and (iv) labeling or removing the lines at the termination of the Lease. This language in paragraph 14 relating to waiver and indemnity may take a great deal of negotiation, though the language in this form is relatively even-handed. Paragraph 14.1 contains mutual release language, and is middle-of-the-road in scope, waiving claims for damage to property covered by insurance or required to be covered by insurance. Paragraph 14.2 allocates to Tenant risks which Tenant can cover with insurance and which for a variety of reasons are difficult for Landlord to insure. It also relieves Landlord from liability for the criminal acts of third parties (duty that may be imposed by case law in some jurisdictions). Most landlords take the position that whether or not they provide security services, they are not guarantors of security. Paragraphs 14.3 and 14.4 largely restate existing tort law, and are included mainly because it is standard practice nevertheless to include them. Paragraph 15 deals with insurance. The types of policies required and the required coverage levels should be reviewed carefully to ensure that they meet the business objectives of the parties. Paragraph 16 gives to Landlord most of the control over what happens in the event of fire or other casualty. However, Tenant may also want a right to terminate the Lease under certain circumstances, typically if the Premises are reasonably anticipated to be untenantable for a period exceeding ninety (90) days. With regard to the language in parentheses regarding the time necessary to effectuate a satisfactory insurance settlement, this can take several years. Paragraph 17 deals with government “takings” under the power of eminent domain. Tenant will want a right of termination if more than a minimal portion of the Premises is taken. If common facilities (especially parking) are taken, Tenant may want a right of termination even though none of the Premises is taken. Although it is customary in most circumstances for Tenant to surrender the entire award to Landlord, Tenant should consider making this an issue in some circumstances, particularly a sale-leaseback where Tenant receives a favorable lease. Landlord’s mortgagee (including a prospective future mortgagee) will be very negative about any limitation on Landlord’s right to the entire award. Language granting a lien to Landlord such as that found in paragraph 18 is customary, but Landlord should not rely much on this paragraph in most circumstances. A creditworthy Tenant will object to this on principle, and many Tenants may already have granted at least one prior blanket security interest. The filing of a financing statement under applicable state law will be necessary in order to perfect the security interest. Paragraph 19 provides for the consequences of a default in performance by either party of its obligations under the Lease. In general, the consequences are much more onerous for Tenant (in the event of a Tenant default) than for Landlord (in the event of a Landlord default). Paragraph 19.1 defines, in broad terms, what constitutes an event of default. Note that paragraph 19.1.3 is unlikely to be of much substantive effect because of the overriding impact of federal bankruptcy law. Paragraphs 19.2, 19.3 and 19.4 allow Landlord, respectively, the option to terminate the Lease, to repossess the Premises and to relet the Premises. These remedies are not mutually exclusive, though repossession is a precondition to reletting. The right of repossession in paragraph 19.3 may be necessary under state law to allow Landlord to use unlawful detainer proceedings under state law. Note also that under state law, Landlord may have a duty to mitigate its damages if it terminates the Lease or repossesses the Premises, and therefore may have an obligation to attempt to relet the Premises. Indeed, Tenant may want to obligate Landlord expressly in the Lease to attempt to relet the Premises. Paragraph 19.5 expressly reserves to Landlord the right to seek damages after termination. There is also provision at the end of the paragraph for liquidating the remaining obligations – the discount rate used might be the subject of negotiation. Paragraph 19.6 gives Landlord the right to seek reimbursement of legal expenses in the event of a default by Tenant. Tenant may want this right to be reciprocal. This changes the prevailing rule in the United States that each side bears its own expenses in a legal proceeding. Paragraph 19.7 gives Landlord a lot of leeway in curing its own defaults. If Tenant is in a strong enough bargaining position, it might seek a right of abatement, self-help, a right of set-off for costs incurred and a right of termination. Paragraph 20 gives Landlord a general right to cure a default by Tenant and then charge Tenant with the cost thereof. Paragraph 21 contains standard no-waiver language. Paragraph 22 subordinates the Lease to any Mortgage, but gives Tenant the right of non-disturbance (i.e., the right to continue to enforce the Lease against the successor by foreclosure to Landlord). For its part, Tenant agrees to honor the Lease in the event of a foreclosure. This clause will not give Tenant non-disturbance rights with respect to Mortgages which are prior to the Lease by reason of recording priority (as opposed to Mortgages made prior by this paragraph). To obtain non-disturbance from existing prior mortgages, Tenant must obtain a separate non-disturbance agreement from the holder. Paragraph 23 gives Landlord the right to make reasonable rules and regulations regarding the Premises and the common areas of the Building. Tenant may seek to require that the rules be non-discriminatory and enforced in a non-discriminatory manner. Paragraph 24 contains a standard covenant of quiet enjoyment. Paragraph 25 (No Representations by Landlord) merits close review by both parties. Language such as this is typically insisted upon by Landlord, but it may be unsatisfactory to Tenant. An office tenant should give consideration to whether key elements of the configuration of the Premises or Building need protection. The “as is” disclaimer is boilerplate language to protect Landlord in the event any implied warranties might arise by virtue of the Lease. Paragraph 26 contains standard language governing the serving of notices. An estoppel certificate of the type anticipated by paragraph 27 is typically given by Tenant to a prospective purchaser or mortgagee, at the request of Landlord. It is intended to give the addressee some assurances about the Lease and the status of the parties’ performance thereunder. There may be some negotiation as to whether the ten (10) day period is too short or too long. Tenant may want to limit clause (iii) to Tenant’s actual knowledge; and should also consider asking for the right to receive an equivalent certificate from Landlord. Paragraph 28 governs in the event of a holdover of the Premises by Tenant upon expiration of the Term. Tenant may object to the breadth of this paragraph, or may at least want to require Landlord to apply it consistently. Paragraph 29 allows Landlord some leeway in fulfilling its obligations under the Lease if so required by laws or government regulations. Paragraph 30 allows Landlord to require Tenant to relocate to substitute premises under certain circumstances. A Tenant with any bargaining strength will want to eliminate this paragraph. If not eliminated, Tenant should consider asking for (i) substitute premises in a location of comparable convenience and prestige, (ii) all expenses paid by Landlord, including moving and printing expenses, (iii) sufficient advance notice, and (iv) preclusion of move during busy seasons. Paragraphs 31, 32 and 33 contain certain boilerplate terms, which should be reviewed by the parties. In paragraph 33.1, choice of law is dictated mostly by the state in which the Building is located. Given that the main purpose of executing a Memorandum of Lease is to record it, the signatures should be notarized. This form includes standard-form notary blocks.